Squash House Quilts: 400th Post Giveaway! When I started this blog I had no idea where it would take me or how long I would continue to blog. While my posts aren't as prolific as in the beginning, I've managed to get to 400 and have no intention of stopping any time soon! It's been a wonderful journey where I've made new and close friends and learned new quilting techniques as well as improved on many of the old! Most of this is in no small part due to all of you who read my blog and have blogs of your own! In celebration of this little milestone and a huge thank you to all that have stuck with me thus far, I thought why not have a guessing game for my giveaway? Yup - guess the number of beans in the jar! The person who comes the closest to the correct number will win a quilt kit! Yes! To help you out somewhat I'll tell you that the total height of the jar is 7.25 inches and it is filled to the very top with red kidney beans. At it's widest circumference the jar measures 10.5 inches. Here is the kit I'm giving away. 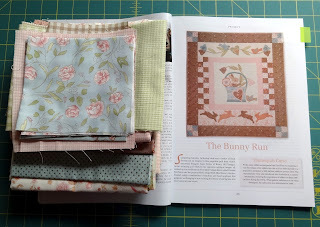 It is for the Bunny Run Kit from Bunny Hill Designs. 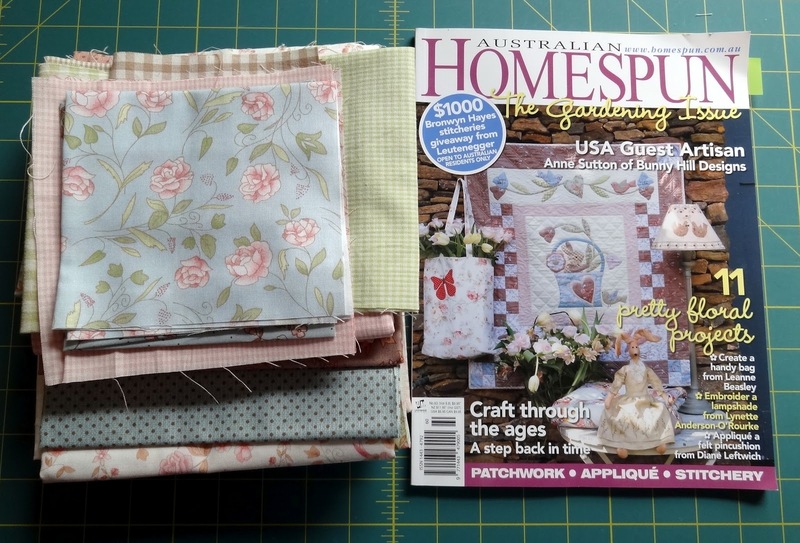 The pattern is in this copy of the Australian Homespun magazine which is also included. The kit has everything you need including the backing - how great is that? The finished quilt measures 36 x 40 inches. You can start now and have it finished for Easter next year! 1) You must have a Google account to leave your guess on the bean count. This will not be open to Anonymous commenters. If you don't have a Google account you can go here and sign up for free. 2) Please do not blog about this or post any photos from this on your blog. 3) One comment/guess per person, please. I'll leave this open through Monday, April 23rd. The winner will be announced on Tuesday, April 24th. Congrats on 400! Obviously, there are 798 beans in that jar. Aren't there? Congrats on the 400th post. I say there are 923 beans in the jar! 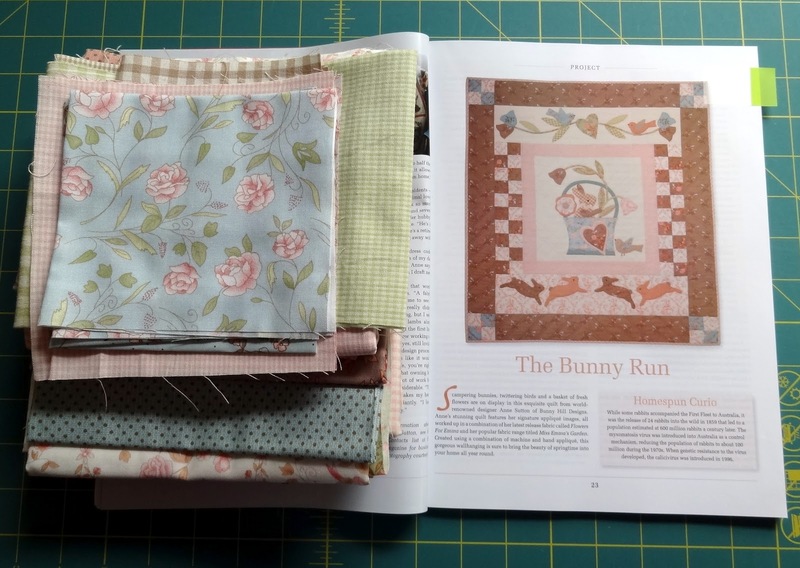 Btw, darling quilt kit! Congratulations on your 400th! I love reading your blog. I am going to guess 1,400 beans. Looks like a nice number to me. Wow, 400 posts! I think I have read them all! Keep them coming! My guess is 2577! Congratulations on your 400th post. I have enjoyed reading each blog,and always look forward to the next installment. My guess is....400 beans, hehe. I am going to say 760. The kit is lovely! Wonderful news about your 400th post. Congratulations. 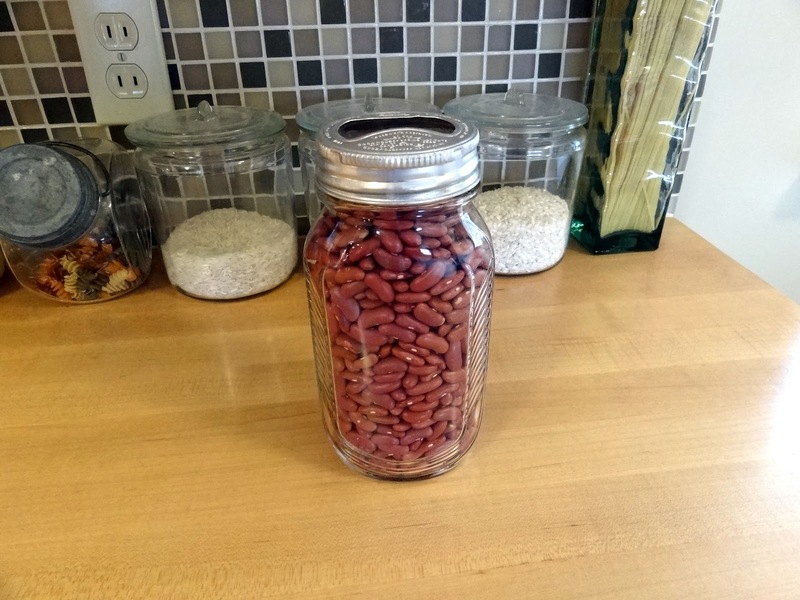 I know that there are exactly 927 beans in that jar. I am positive. So, pick me, pretty please. I am going to guess 401 beans. Love your blog. Congratulations on 400th post. I am going to guess 850 beans. Holy smokes, Candace...that's a lot of posts!!! And I've enjoyed every single one of them. I'm always excited when I see you've written a new post. I can't wait to see what you have to share!!! Happy 400th, dear friend!!! I am going to guess 499. I am never very good at guessing how many. I will take a stab and guess 654. My lucky guess is 367. Thank you and congratulations. Have enjoyed your posts about quilting, fishing, travels, and your transformation of Squash House. Oh, your gardening, too. My guess is 875. Happy 400th post! My guess is 444 beans. Congratulations on your 400th post! 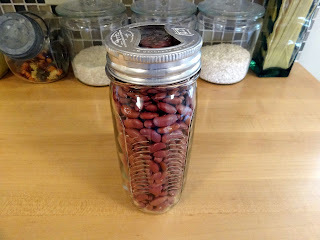 I am going to guess there is 525 beans in that jar. Thanks for the chance. Wow, 400! Congrats to you! Love following your blog. Thanks for the giveaway! I'm sure there are 773 beans in that jar. Positively! 612 is my guess. Congrats on reaching 400 posts! How about 2123 beans in the jar. 400 hundred posts, huh? Where has the time gone? I guess 192! I don't know why, just a guess. Congratulations on 400 posts, that's truly amazing! My guess is 1023 beans, plus one little rock! Three cheers for your 400th post. That is quite an accomplishment. Lucky for all of us that you started blogging! Congratulations Candace and thank you for your blog postings! I will guess 770. Congrats! I am guessing 510 in honour of my 51st birthday coming up! 532 beans! I have read your blog almost since the beginning and feel you are like a friend to me as well! Congratulations Connie! I am going to guess 653! Congrats on 400 posts! Love your blog. 400th post! Awesome! I just started my blog in January! My guess 1,570!!! THat's a lot of beans!!! I'LL GUESS THERE ARE 822 BEANS!